Toddler Approved! : Camp Mom: Diving for sharks!! Camp Mom: Diving for sharks!! ... and killer whales and dolphins! It is hot, hot, hot where we live in Northern Cali right now... so we're spending a lot of the day in the water! 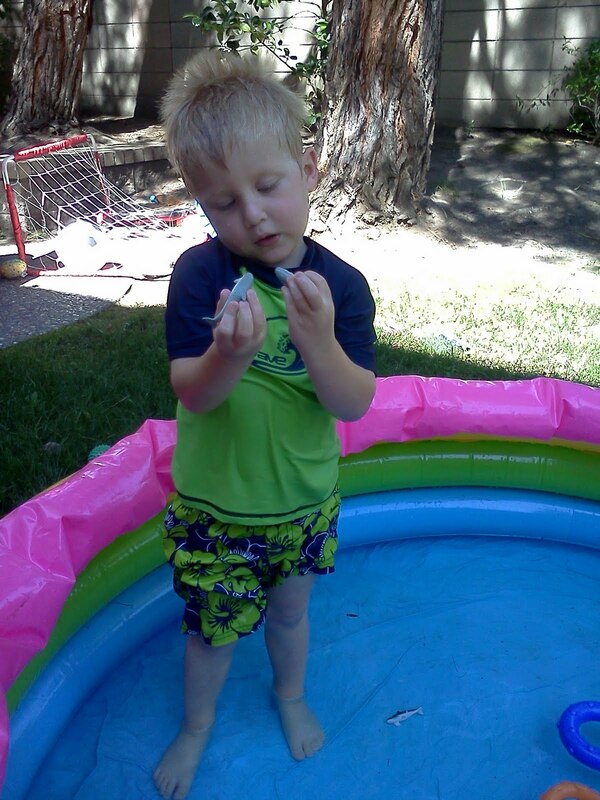 We grabbed a bag of plastic sea animals and hit the backyard. My husband was nice enough to blow up the baby pool last night (and patch any holes), so all we had to do was fill it up! We started off this activity by dropping the sea animals into the empty pool. My little guy counted them as we dropped them in! We talked about what the animals needed- WATER and food! I also threw some trash into the pool. My son was appalled. We talked about it was very very bad to throw ANY trash into the water... ever! (pollutes the water, animals can get trapped, animals can eat the trash and get sick and die, etc. etc... though I didn't emphasize the dying part too much... just that the animals would get hurt). We cleaned up the pool and threw the trash away in the right place... and then we started filling it up! 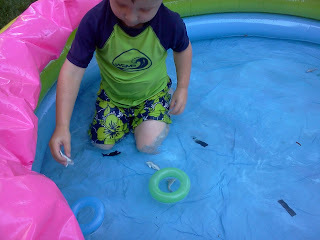 We played a few games while we filled up the pool with the hose and again once it was all full. Race across the ocean: We put all the ocean animals on one side of the baby pool and my little guy tried to move them across the empty baby pool by spraying them with the hose. Once the pool was full, we picked up all the ocean animals, dropped them in again, and went diving! 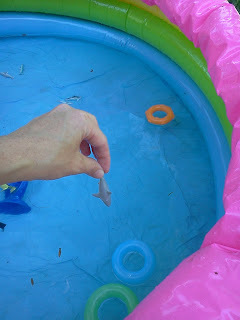 We dove and collected all of the sharks and counted them and talked about their colors- we had blue and gray ones. Next we dove and collected all of the dolphins... and counted them. They were tricky since they were gray like the sharks. We talked about how their bodies can curve because they can jump... and we made them jump around the pool. Lastly, we collect and counted the killer whales (orcas). Then we threw them all in again and dove some more! My littlest one loved "diving" for the sharks as well :) At least the ones her brother could bear to share with her. After pool time, we sorted the ocean animals into piles and counted them up to make sure we didn't lose any of them... and then it was off to naptime! Later in the day we made it back into the pool for some more dolphin fun. We grabbed my daughter's plastic ring toys and threw them into the pool. Then we took the dolphins and held them 3-4 inches above the floating rings and tried to get the dolphins to make it through the center of the hoops. It was tricky, but a lot of fun! They also did some performing for us. 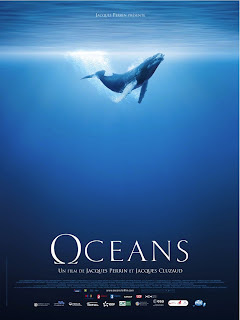 We ended the day with an afternoon showing of Disney's Oceans on Netflix. Wow! The video footage was amazing. We only made it through 30 minutes before my son was ready to do something else... but that was longer than I was expecting. We'll definitely be watching some more of it later this week. We especially loved watching the pods of dolphins. They were incredible. 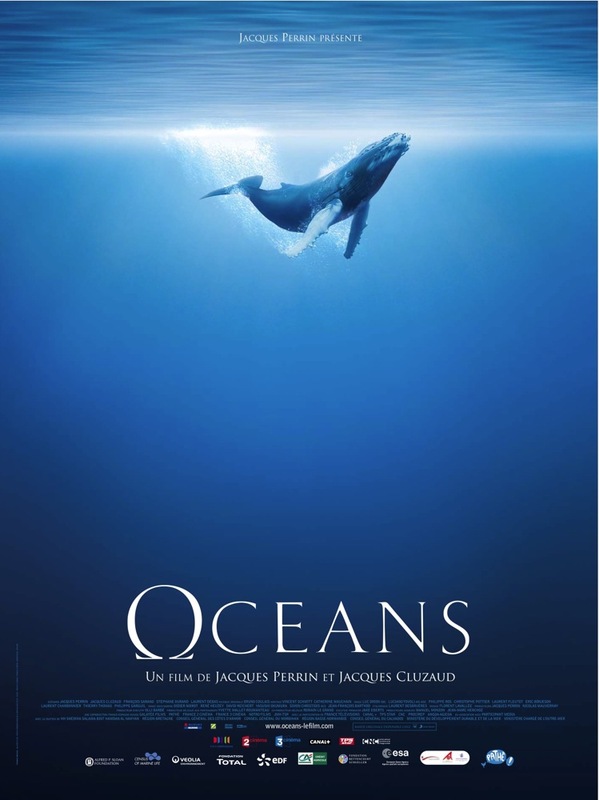 We'll be back with more ocean fun tomorrow!